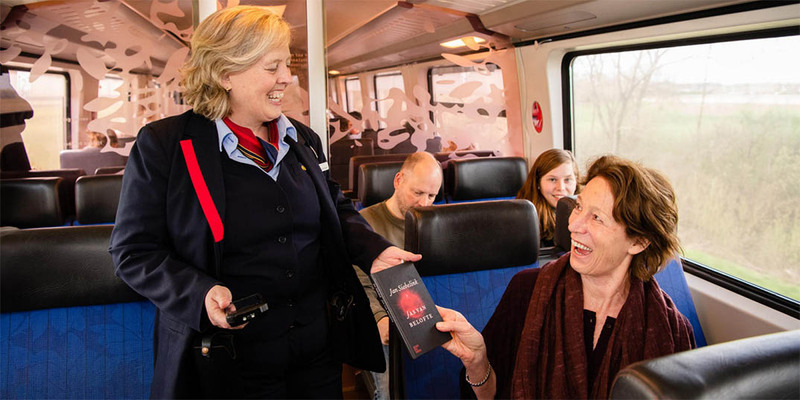 Did you know that on Sunday 18 March 2018 you can use the Dutch Book Week present (‘Boekenweekgeschenk’ in Dutch) as train ticket all day on domestic trains in the Netherlands? If you purchase at least €12.50 worth of books in the Dutch language during the annual Book Week (10-18 March 2018) you get Griet Op de Beeck’s novel ‘Gezien de fieten’ for free. All bookstores in the Netherlands participate, online and offline. If a conductor comes along for a ticket check you can simply show the hard copy or the e-book. Be aware that this day trains may be overcrowded. In 2016 and 2017 around 250,000 people traveled with their Boekenweekgeschenk.